The National Association of Productivity and Organizing Professionals is "The Organizing Authority," a worldwide non-profit association of almost 4,000 organizers and productivity specialists. NAPO's mission is to educate our members in productivity and organizing principles and to promote the recognition and advancement of the professional organizing and productivity industry. 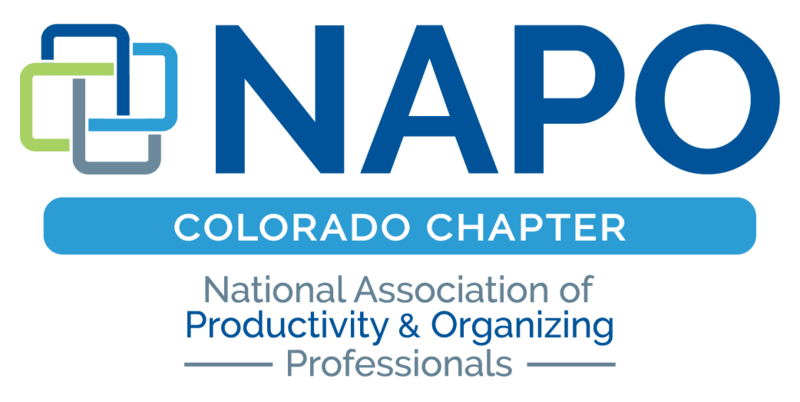 NAPO Colorado is an affiliated chapter of NAPO, which offers local NAPO members educational and networking opportunities, as well as employment opportunities through our Find an Organizer list.